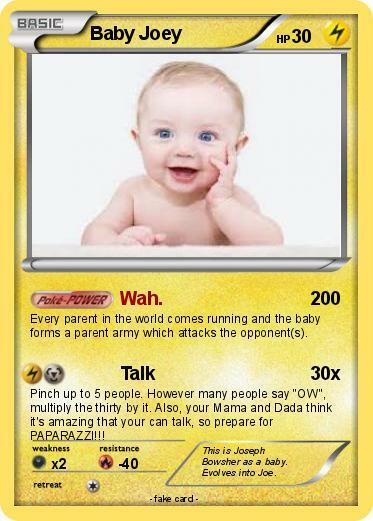 Every parent in the world comes running and the baby forms a parent army which attacks the opponent(s). Pinch up to 5 people. However many people say "OW", multiply the thirty by it. Also, your Mama and Dada think it's amazing that your can talk, so prepare for PAPARAZZI!!! Comments : This is Joseph Bowsher as a baby. Evolves into Joe.